All Hallows' Eve, more commonly known as Halloween, is a yearly event celebrated on October 31, and one that is anticipated by the young and young at heart all over the world. Some scholars claim that Halloween originated from Celtic festivals that honored the dead or that celebrated the harvest, while others doubt that there's any connection at all to Samhain (a Gaelic harvest festival.) Regardless of its origin, our team at the Dentist office of Dr. Trinh hopes that Halloween is fun and enjoyed by all of our awesome patients! Halloween is about fun; stepping outside our normal lives and donning a costume or gathering with friends to knock on doors and ask for candy is as much a part of our culture as hot dogs and barbecue on Labor Day. 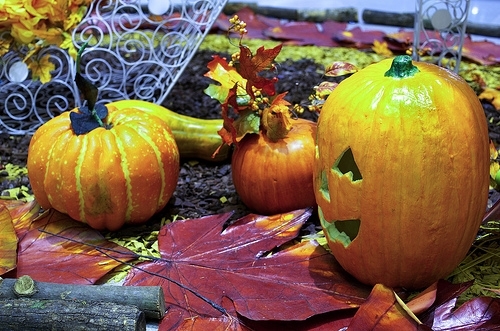 Have a safe and happy Halloween from the team at La Mirada Community Dental! 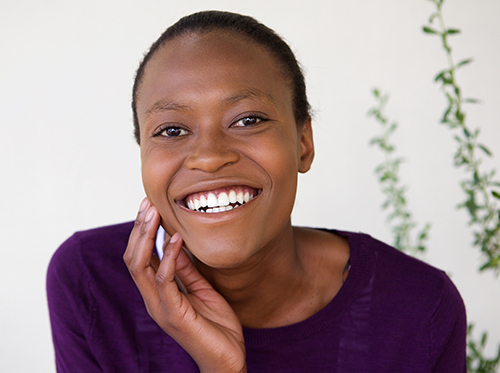 These days it's becoming more and more common to see adults at our La Mirada office getting their teeth straightened with Invisalign clear aligners — that is, if you can see them! Treatment with Invisalign is effective and aesthetically pleasing for all ages, but adults have certainly taken to them. You'll need to make fewer trips to our La Mirada office since you can change your trays on your own every few weeks or as prescribed. If you're interested in Invisalign treatment, please let Dr. Trinh know. We'd be happy to help you on your journey to a straighter, healthier smile! If you don’t already do so, it’s time to brush, floss, and rinse as Dr. Trinh taught you. Brush at least twice a day or after meals, and floss your teeth every day. If recommended, use mouthwash to kill germs in your mouth. If you are not able to brush your teeth after eating, swish water around in your mouth to remove the food from your teeth. Leaving carbohydrates in your mouth allows bacteria to ferment it and produce acid, which can destroy your tooth enamel and put you at risk for decay. However, young adults have a lot to gain from visiting our La Mirada office regularly. We can check for signs of problems and fix them early, which can save thousands of dollars and, ultimately, your teeth. These are some examples of what Dr. Trinh and our hygiene team can do for you. Dr. Trinh and our team are excited to offer Invisalign Teen, a clear alternative to braces that’s just for teens! With Invisalign Teen, we are able to straighten your teen’s teeth without the hassle, discomfort, and embarrassment of traditional braces. Invisalign Teen aligners are made from a lightweight plastic material and fit precisely on the teeth. Invisalign Teen has become a popular treatment here at La Mirada Community Dental because it helps our younger patients achieve a straight, beautiful smile without their friends noticing. Our team at La Mirada Community Dental is aware that most teens today have a busy lifestyle, and sometimes, they tend to lose things, including their retainers or aligners. But with Invisalign Teen, if your child happens to lose an aligner, let Dr. Trinh and our team know as soon as possible and we will have the aligner replaced. For more information on Invisalign Teen, please give us a call at our convenient La Mirada office today!